By designing with the naturally aesthetic structural laminated/heavy frame that laminated wood in Houston, TX provides, architects put themselves in the best light. 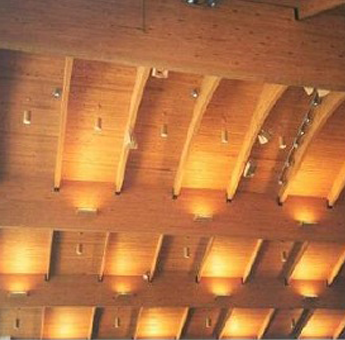 When architects integrate laminated timber structures like glulam to the focal point of their design, it can express the warmth and beauty of a large space while remaining resilient. School districts are also realizing that the natural beauty of laminated timber offers an inviting learning environment for students. Better yet, it can be designed cost-effectively in a way that fire safety and aesthetics need not be compromised. Plus, the natural corrosion resistance (when treated) saves long-term maintenance costs in high-humidity spaces like swimming pool enclosures.